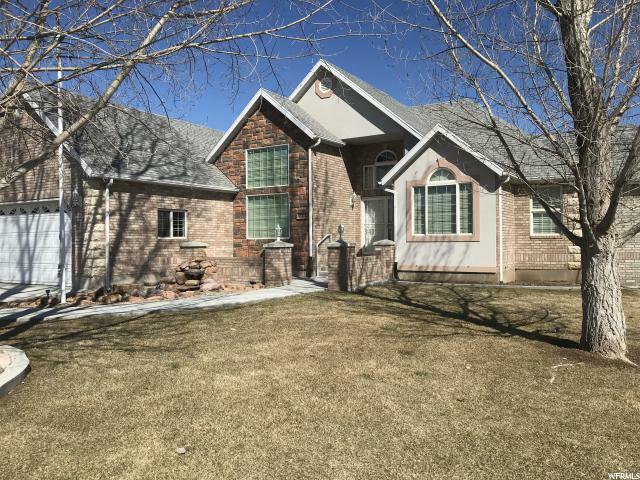 All Moroni homes currently listed for sale in Moroni as of 04/26/2019 are shown below. You can change the search criteria at any time by pressing the 'Change Search' button below. If you have any questions or you would like more information about any Moroni homes for sale or other Moroni real estate, please contact us and one of our knowledgeable Moroni REALTORS® would be pleased to assist you. 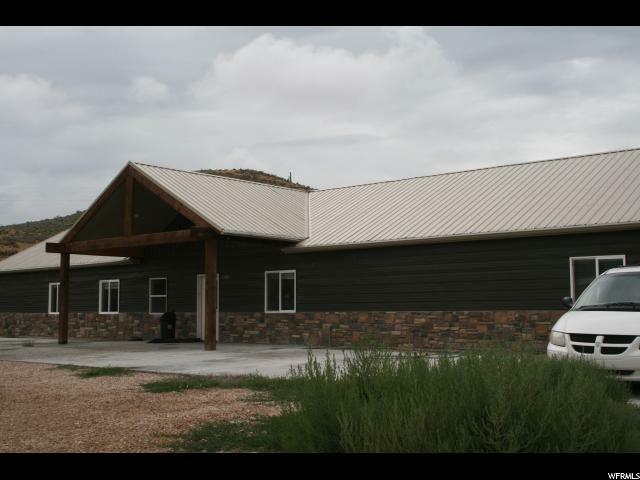 "This property was built and is currently being used for a residential therapy treatment home. It is set up as a home environment with a large kitchen, family area but bathrooms are more of a public restroom setting. One room is set up as a theater room, there are also offices that could be converted to bedrooms, etc. Home is heated with forced air gas furnace and a hot water boiler system. A large workshop/garage (1950 sq. feet) along with a 900 sq.ft. apartment attached to the workshop/garage are included with this property. This square footage is not included with the main home. The apartment has 1 bedroom, 1 bath, kitchen, family room, laundry and pantry. The workshop may be a potential business opportunity as well. 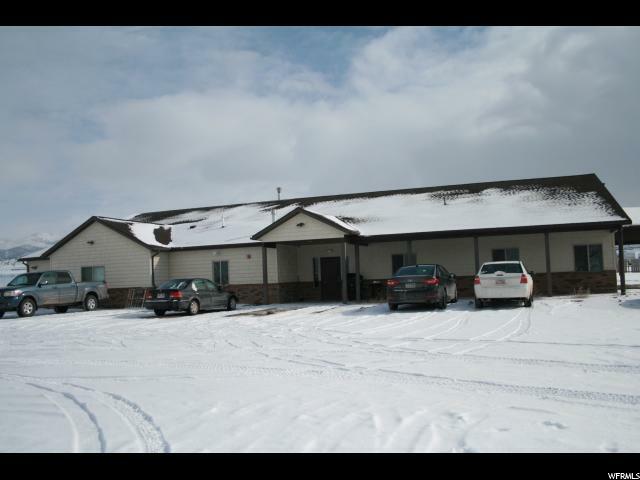 This property could potentially be used for either business or residential. Buyer and buyer's agent to verify information and check regulations for a possible business venture. " "Beautiful Custom (Builder's) home. Lots of Extras! Custom cabinets, granite counter tops, tile back-splash, newer appliances and an extra large pantry. Very open & light with big windows to enjoy the fantastic views. Vaulted ceilings and custom gas fireplace. Master has separate shower, jetted tub, and huge walk-in closet. Nice big laundry room with lots of cabinets. Very nice in-law apartment with walk-out, upgraded cabinets, tile floor, 3/4 bath and 1/2 bath, and 2nd laundry room. Storage galore! 90+ furnace, water softener, 2 large storage rooms, & a fantastic gun vault. 10' x 20' concrete deck off kitchen. 30' x 40' 4 car shop - Hoist included. Drive thru, 220 power & lots of insulation. 30' x 40'RV shed with power. Solar panels included - Runs whole home! Light bill $8/month!!! Propane tank for backup generator. Fine country living with all you Need at home. This amazing home & views are a MUST SEE!" "This property was built and has been used for a residential therapy treatment home. It is set up as a home environment with a large kitchen, family area but bathrooms are more of a public restroom setting. One room could be used as a theater room, there are also offices that could be converted to bedrooms, etc. Home is heated with a boiler system that was just installed a year ago. A huge workshop/garage (3900 sq. feet) is heated with power and a 1/2 bath. This amazing workshop may be a potential business opportunity as well. There are also 3 washer/dryer hookups in the heated portion of the garage/workshop. Parking for at least 10 vehicles, recreational vehicles, etc. This property could potentially be used for either business or residential. Buyer and buyer's agent to verify information and check regulations for a possible business venture. " "Income opportunity and/or Country Living! * Possible Seller Financing available with approved terms and conditions. * This Historical building was built in 1895 with amazing brick/sandstone/adobe architecture. Main level has great potential for a business. Tall ceilings and beautiful wood flooring. Built in shelving, with a big open area. The second level is all set for living quarters. It is 1115 sq feet with a full kitchen and bath. It is fully open like a studio style apartment but very large and open. Has space for 3 beds with a great amount of space surrounding each one. The flooring is all original. Beautiful stained glass windows. Has all the historical appeal but with new and modern conveniences. It has a separate entrance from the outside that is is gated and has winter tread steel stairway. There is a drip system for the small amount of landscaping on the side of the building. Has been used as a vacation rental. Also was used as the business owners home while running a business on the main level. There is a ton of storage space in the basement and also on the main level. Come start your own business or just get away from it all. This is a great opportunity waiting for you. Main level is zoned commercial, and the second level is zoned residential. Square footage figures are provided as a courtesy estimate only and were obtained from _____county_________ . Buyer is advised to obtain an independent measurement. Buyer and buyer's agent to verify all information. "